Commercial pack trains in the Sierra Nevada began operating during the California “Gold Rush” days. 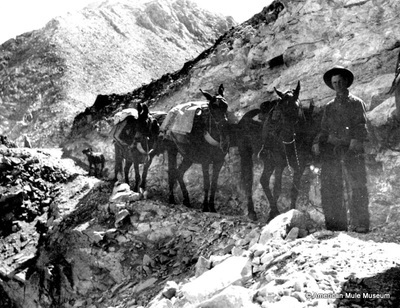 There were no roads into the mountains where miners were pursuing GOLD. 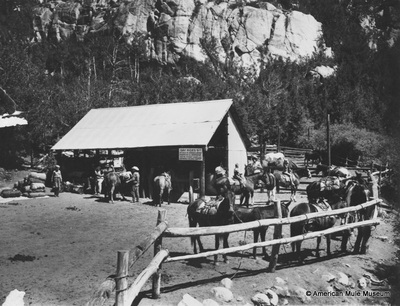 Owners of valley stores, livery stables etc. 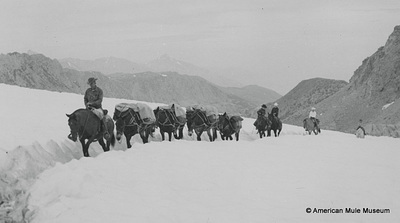 hired independent commercial packing companies to transport the needed machinery, supplies and merchandise to these remote areas. 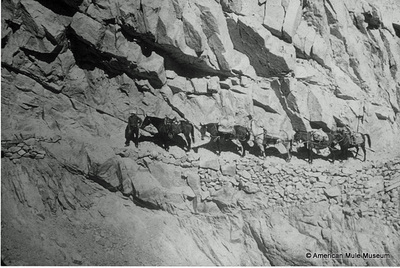 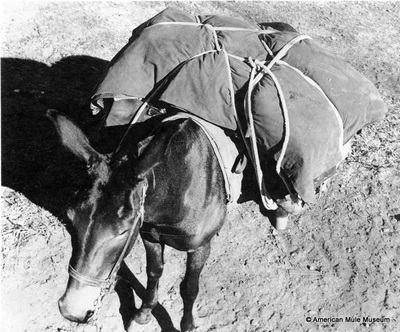 Trains or strings of pack mules led by arrierros or muleteers (packers) transported these supplies over narrow, rocky and winding trails to the mining camps and towns.When mineral strikes occurred on the east side of the Sierra, in 1859, packers and their mule trains packed the needed goods to the new settlements and boomtowns. 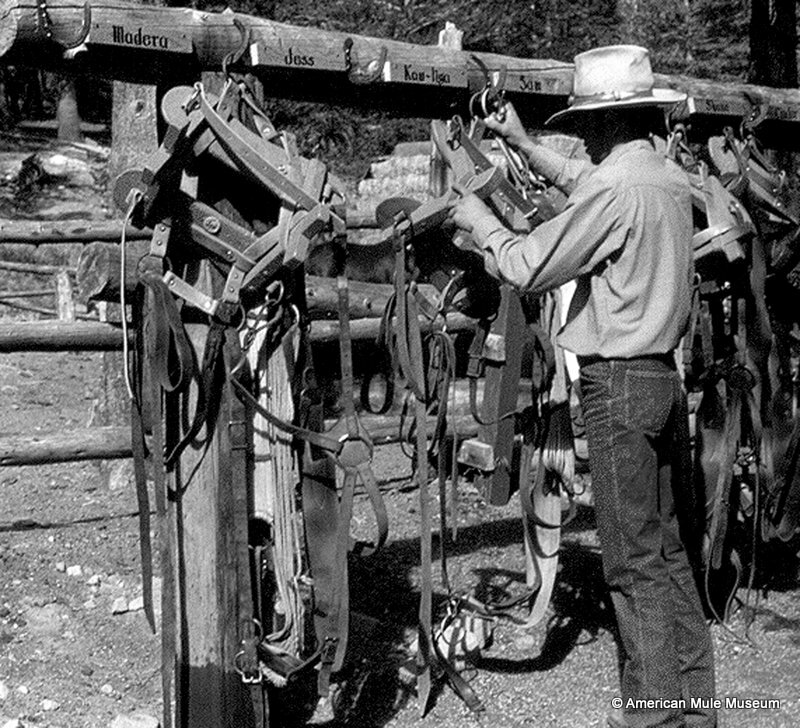 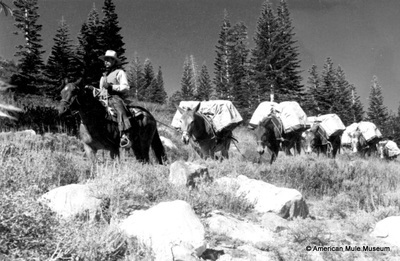 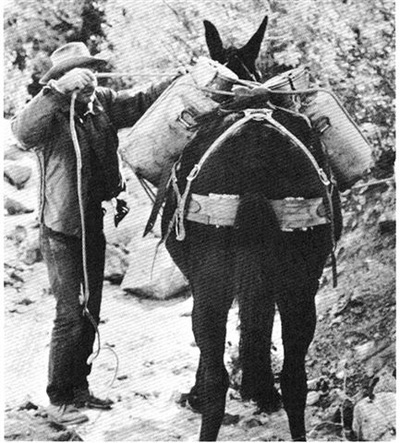 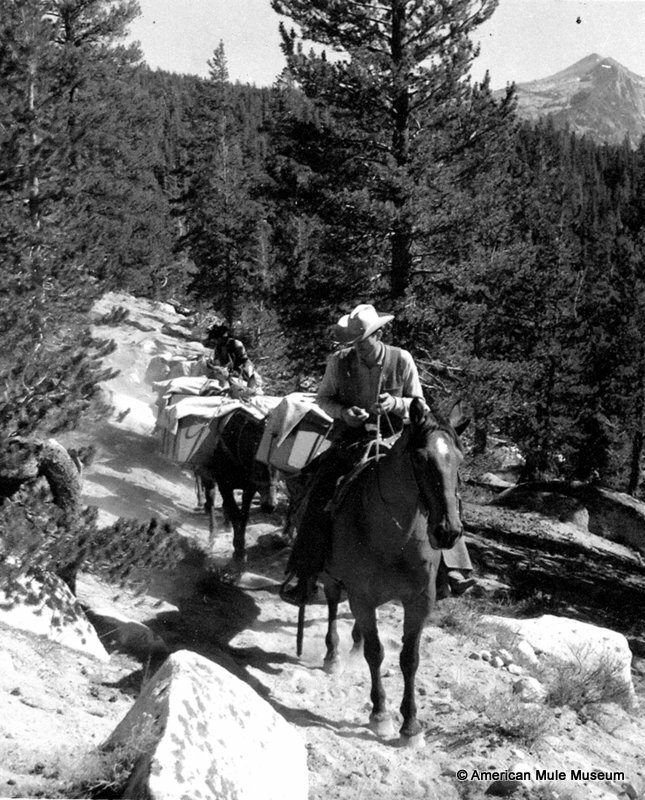 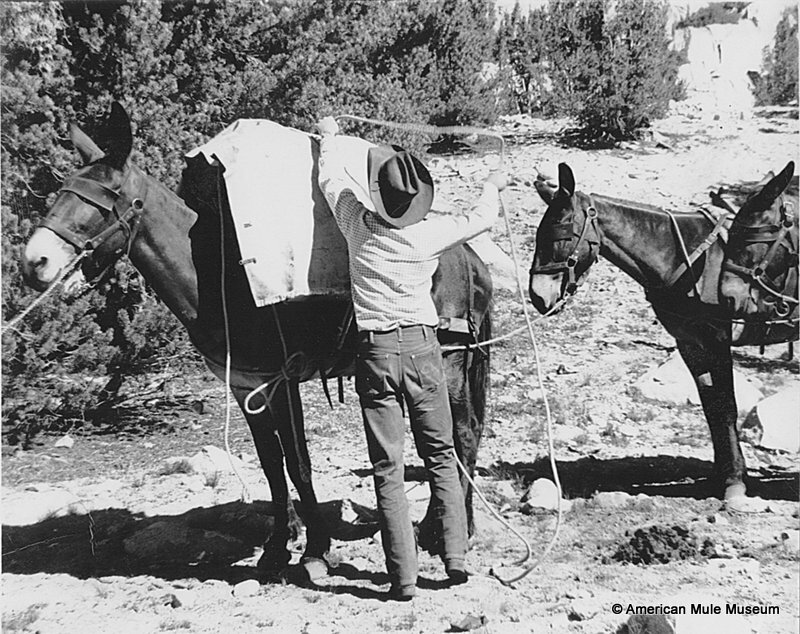 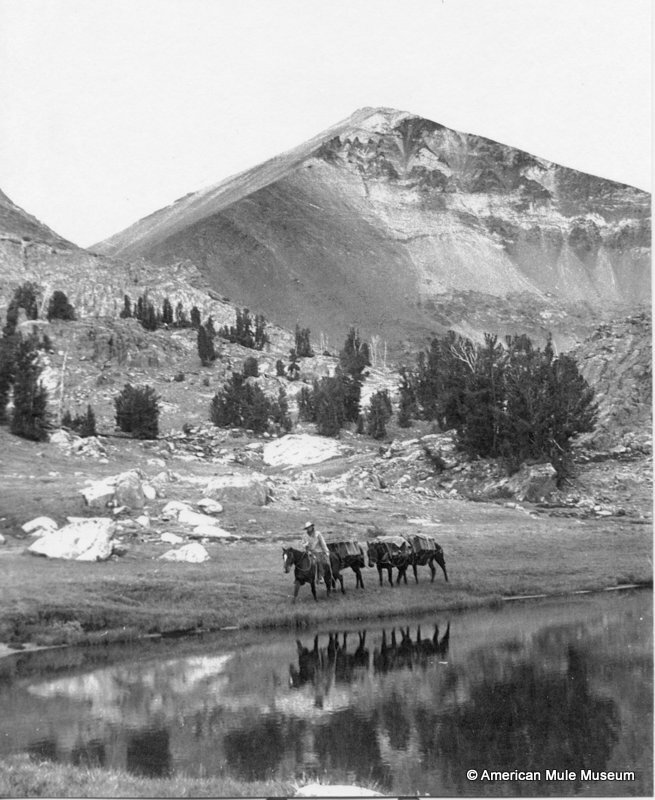 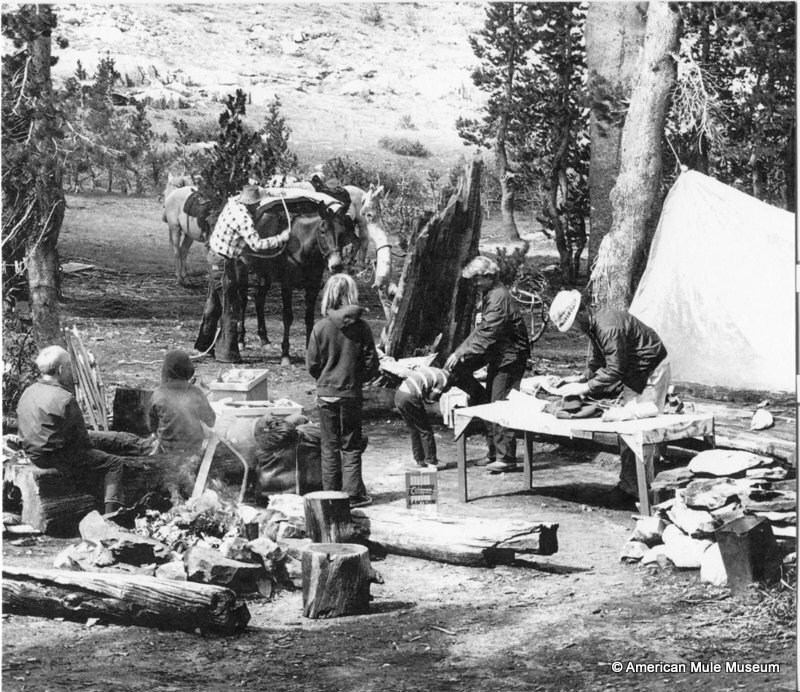 Terrence Brodigan owner of Sonora House and Livery Stable, and Sol Carter, commercial packer regularly packed supplies over Sonora Pass to the east side. 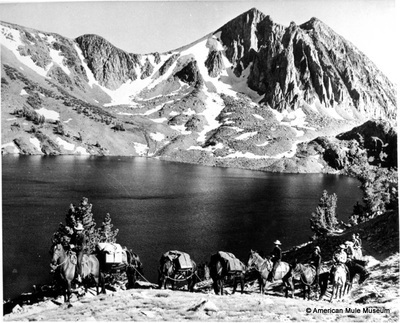 A new gold strike at Red Mountain created Mammoth City near present day Mammoth Lakes. 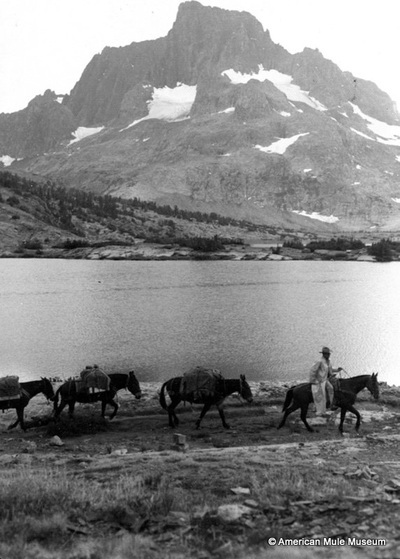 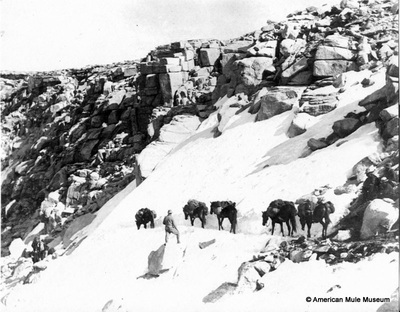 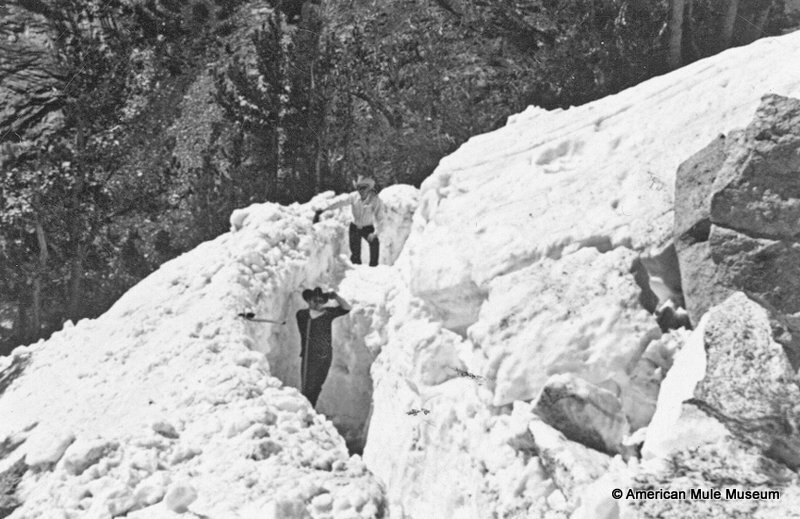 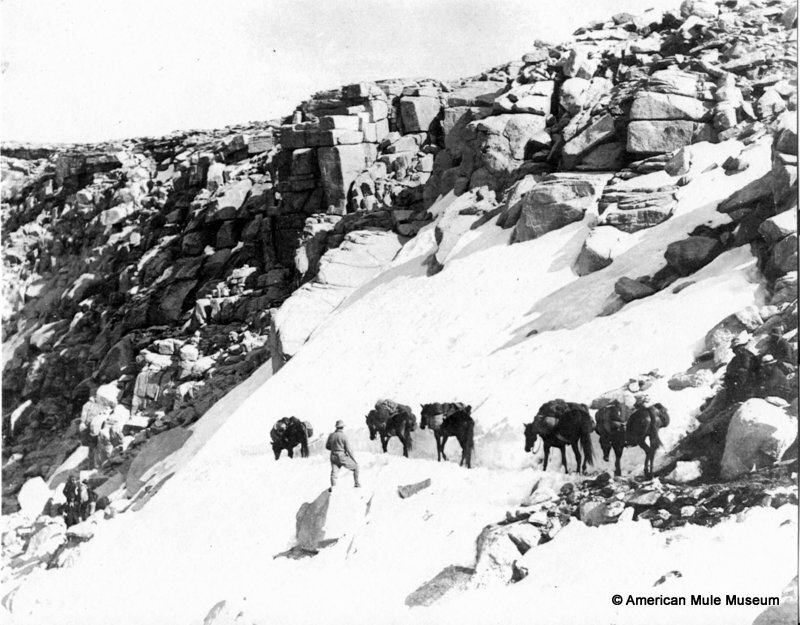 J. S. French built a trail and offered twice-weekly pack train service from Fresno Flats over Mammoth Pass to the new mines. 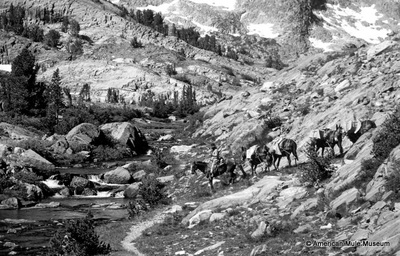 His trains crossed the Sierra, a distance of 54 miles, on the trail often referred to then as the French Trail. 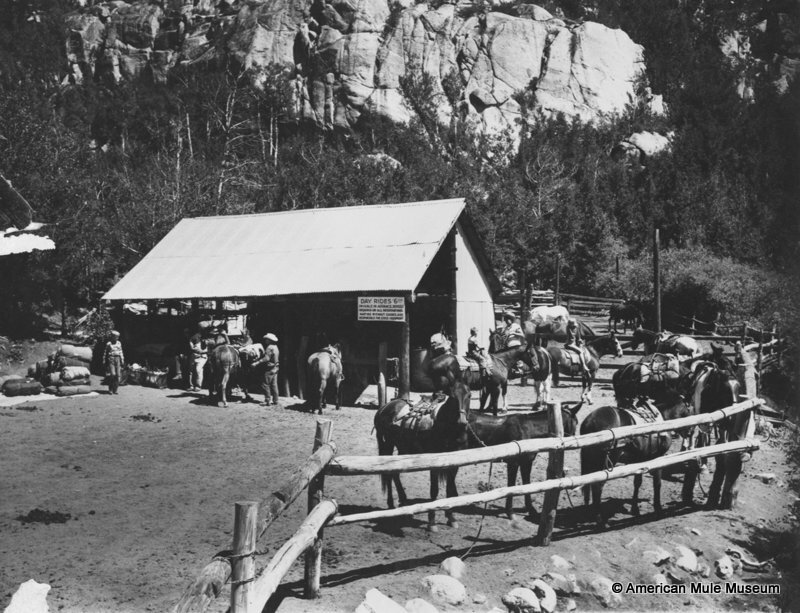 Tourists called passengers could accompany the pack trains and were allowed up to 20 pounds of luggage for a mere $15.00. As the stunning scenery of high mountains, azure blue lakes and rushing creeks of the Sierra were discovered by settlers in surrounding valley towns, families packed into the mountains to escape the summer heat and enjoy camping, fishing and hunting. The news of this mountain wonderland spread and visitors from urban cities came to enjoy. Local livery stables provided camp gear, riding and pack animals and guides. 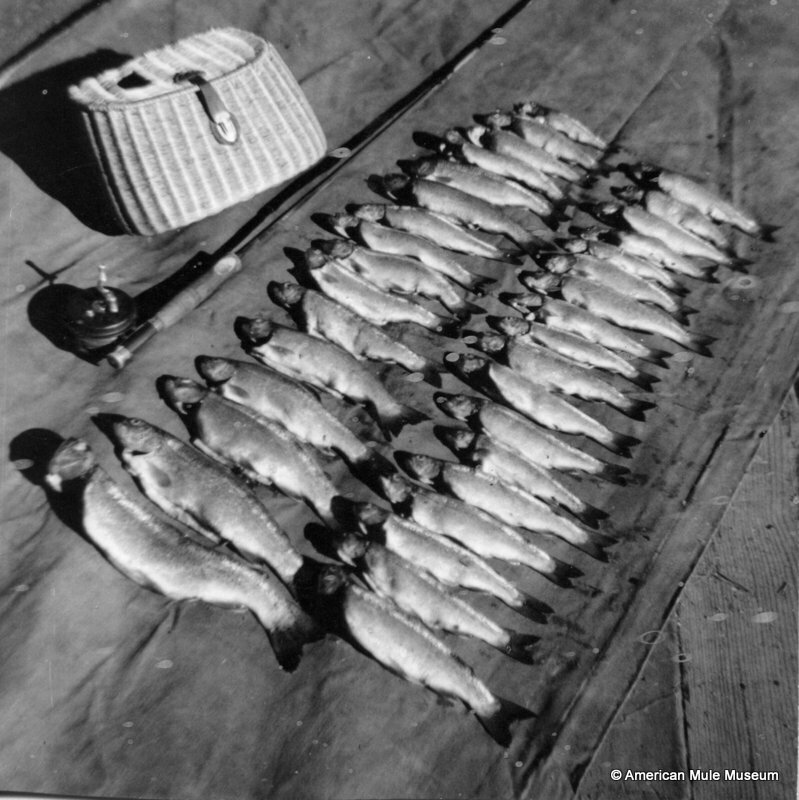 Commercial packers branched into the tourist business establishing recreation pack outfits. 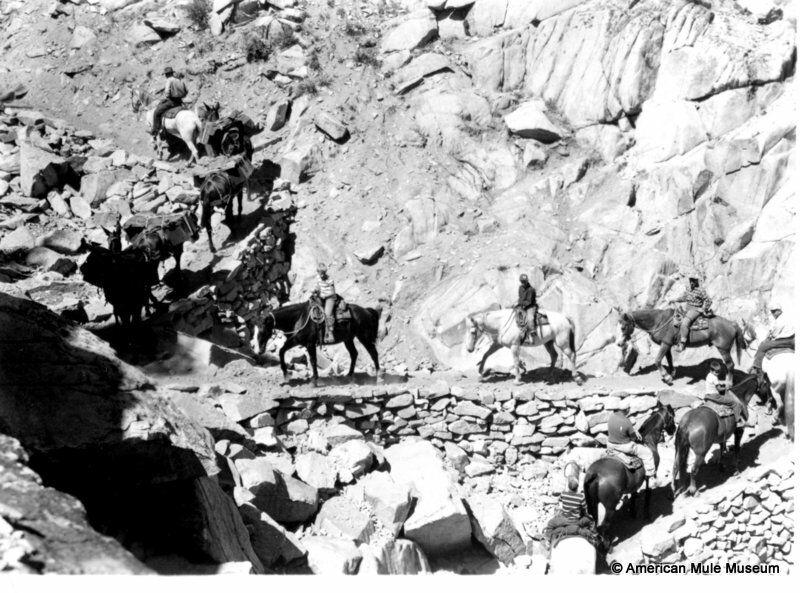 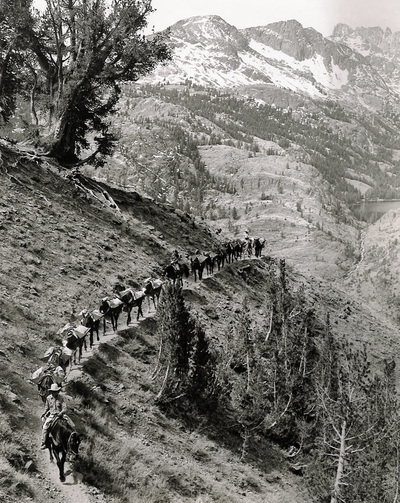 As roads were extended into this mountain fastness, permanent facilities and corrals were established at the ends of the roads called pack stations. 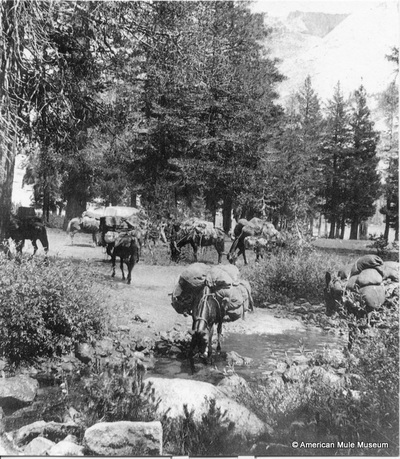 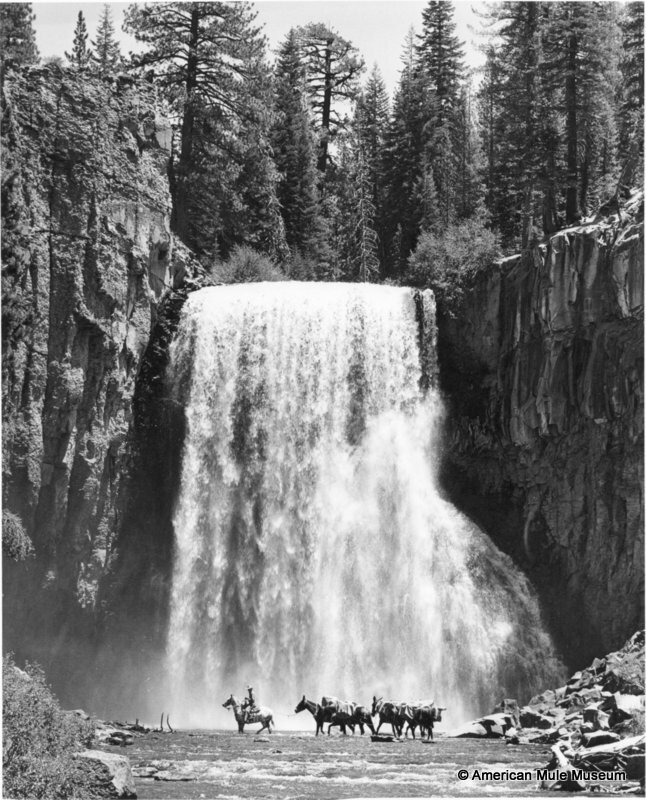 Since then, the commercial recreation pack business has not changed much with pack stations providing access and support for visitors seeking vacations in the Sierra Nevada. 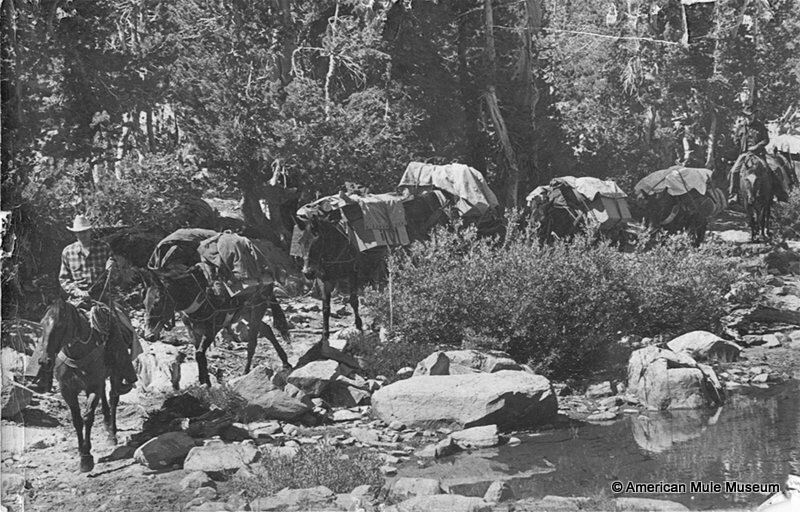 Packers and their mule strings, looking as they did in the 1870’s, still ply the narrow rocky trails taking campers and their camp outfits to lovely lakes and streams. 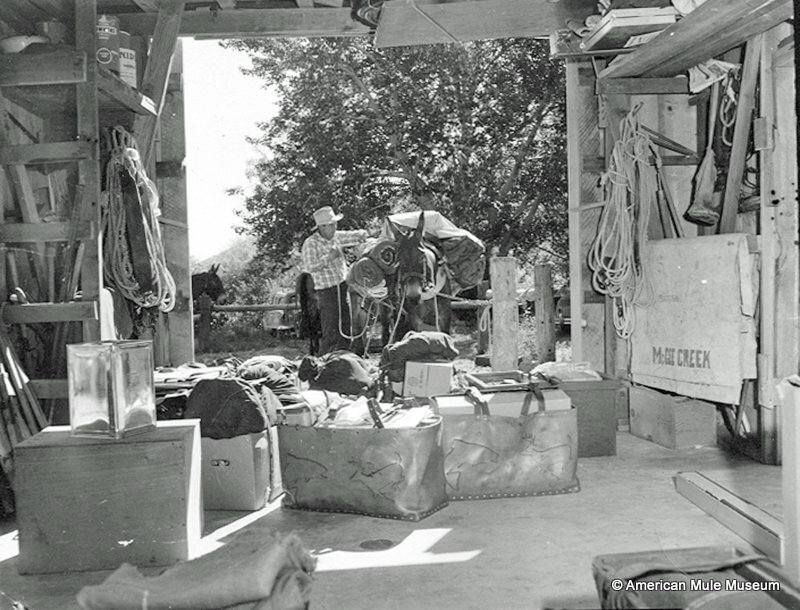 Camp gear is more plentiful, efficient and lighter in weight, and the tents are more colorful. 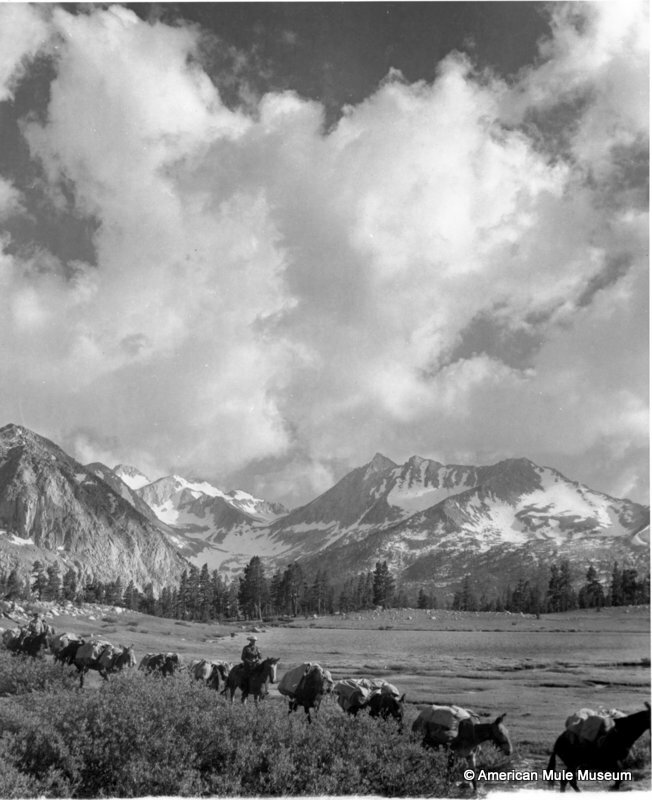 Visitors relax from their modern stressful lives enjoying this gorgeous mountain roadless backcountry.